This issue is brings awareness to Suicide. The first installment of our efforts to raise awareness for mental health issues. 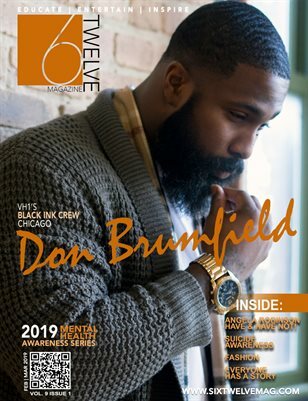 This issue features Don Brumfield of "Black Ink Crew Chicago" who lost his sister to suicide. It also features Angela Robinson who plays a mentally disturb "Veronica" on Tyler Perrys "Have and Have Nots"